Before getting into the specifics of this particular piece, it's important to note that no-one is suggesting that all change is bad, or even that historic cities such as Chester shouldn't evolve to keep pace with the increased social and economic needs of our ever changing modern country. Nobody imagines for one second that modern day Cestrians would want to live in a first century Roman military fortress, with its sparse wooden built barrack houses, or its open cesspits; no more than they would want to live in one of the city's former early modern housing "courts", with their shared sanitary facilities, diseases and pests. Change is necessary for any society to evolve and develop, to make things better for the citizens who inhabit that particular society, whether that's in terms of their individual health, housing, employment or just the general surroundings in which they live. Chester is no different in that respect from any other community that exists in the UK today, other than it just happens to be a city that has a history that most other English cities would envy and who would doubtless take better care of; and make better use of, had they been fortunate enough to be given the opportunity. 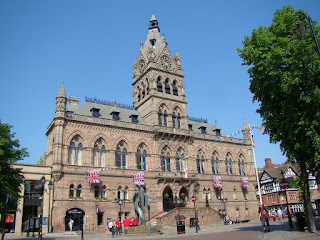 For anyone who has spent the time studying Chester's extensive past, the one thing that is immediately evident, is that throughout its long history the city has often been ill-served by successive generations of selfish and self-interested civic leaders, who have quite blatantly put their own commercial interests ahead of the city's. Whether it involved the preservation of Chester's once busy medieval port, the routine maintenance of the canalised River Dee, the conservation of the city's historic building fabric, or the protection of Chester's largely hidden Roman architecture, all too often decisions regarding their futures has come down to a simple matter of pounds, shillings and pence; and whether their loss or destruction can be turned into a commercial opportunity. The civic vandalism wrought during the 1960's, when huge swathes of Chester's historic landscape was gouged out of existence for the construction of the Inner Ring Road system, the "Forum" precinct and the Grosvenor Shopping Centre, leading to the loss of innumerable architectural treasures, was just that particular periods instance of civic and commercial opportunism. Go back sixty years, to the beginning of the 20th century and there was a previous round of commercially driven regeneration, in Bridge Street, at the High Cross, in Lower Northgate Street, in St Werburgh Street and in Frodsham Street. The difference being in this instance, there was there was at least some effort to mitigate the damage done to Chester's architectural heritage by the likes of architects Douglas and Lockwood. Looking back to the early 1900's and the regeneration that took place, local residents, planners, architects and commercial developers had exactly the same sort of conversations, as were had in the 1960's and that are still being had today, regarding the effect of such modern developments on the ancient fabric that each of these disparate parties professes to value and say they wish to protect. The difference is of course, one only has to look at what has resulted from the various regeneration schemes over the same period, contrasting the generally sympathetic designs created by the likes of Douglas and Lockwood, with the brutally modern designs put in place during the 1960's and 1970's. Interestingly, in the public discussions surrounding the recent plans for the regeneration of Dee House in Chester, supporters of the scheme made the rather spurious argument that as an 18th century property it should be conserved and regenerated, yet numerous far more historically valuable properties and features were systematically wiped from the earth to make way for the Inner Ring Road, the Grosvenor Shopping Centre and the Forum precinct, with little if anything being mentioned about it. So here we are again, some fifty or so years later having a similar argument about regenerating Chester's Market Square area, which some forty or fifty years after demolishing the hundred-year-old Market Hall and then scraping the underlying Roman architecture into oblivion, the city's civic leadership and business community have decided has become a blight on the city's landscape. 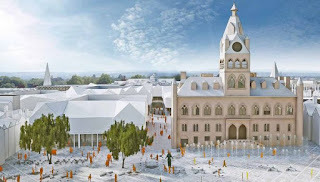 No doubt those who opposed the destruction of Chester's beautifully constructed 19th century Market Hall and its replacement with the brutally utilitarian Forum precinct can at least have the satisfaction of saying to the designers and planners who created it "Told you so", although that matters little now that the damage has been done. A grand ornate building that stood for a century and that would doubtless grace any historic English city was torn down to make way for a "box" design that has only lasted half the time of its predecessor; and that most historic cities wouldn't give a thank-you for! Only in Chester! 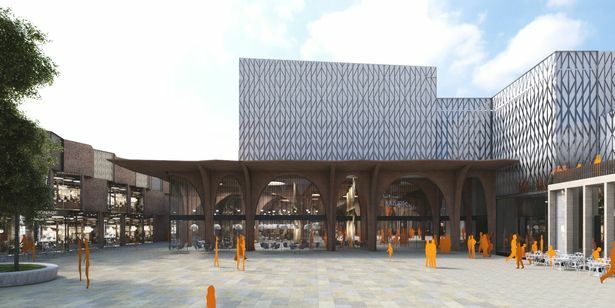 One cannot imagine that a single tear will be shed for the Forum and its associated Market Hall, or indeed for the Gateway Theatre, or nearby Princess Street Bus Station. Similarly, one doesn't imagine that the Crown Plaza Hotel, or the various commercial buildings in and around Hamilton Place will be missed by most of the local population, although no doubt the loss of the car-parks might be noticed by some. Whilst the passing of these largely unimaginative buildings might not be mourned by most Cestrians, one suspects that what replaces them is of far more importance to local people; and it is perhaps that more than anything else, which poses the greatest worry to those of us that have an interest in Chester and its continuing history. One has to say though that the portents thus far are not good for Chester's Market Square! Rather than repeating the mistake of introducing brick and concrete functionality and utilitarianism to the area known as the Northgate Quarter, this time the city planners appear to have chosen steel, wood and glass to build their new vision of Chester, to sit alongside the 1930's Grade II Art Deco Odeon Cinema, the 19th Century Gothic Revival Grade II listed Town Hall, the 19th century Coach House (formerly the Coach and Horses) Inn and the remaining facade of the Westminster Coach & Motor Works dating to 1914. Stretching from Northgate Street and the Market Square westward to St Martin's Way, which is part of the city's highly damaging Inner Ring Road system and from the northern end of Shoemaker's Row to the 1930's Odeon Cinema, this entire section of the city, including the four previously noted landmark buildings, will become the location for what can only be described as the latest in a long line of new Cathedrals of Consumerism in Chester. 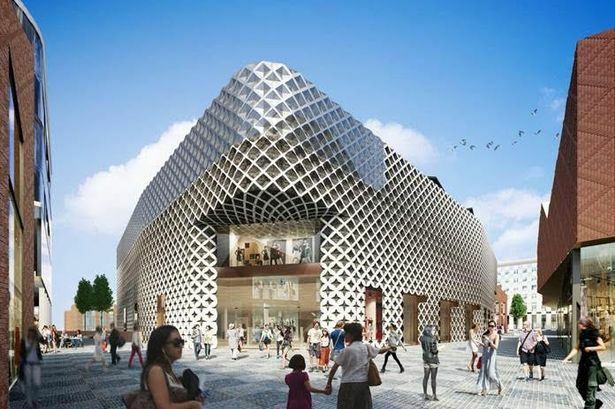 The Northgate Quarter is set to include a six-screen 715 seat cinema, a major department store, an assortment of shops, cafes and restaurant, a new Market Hall for local traders, an 800 space multi-storey car park and finally, a new 167-bed Crown Plaza Hotel. Now, whilst any new business is clearly welcome in Chester and any replacement for the ugliness of the Forum precinct and its surrounding contemporaries would doubtless have a positive effect on this part of the city, quite whether a collection of highly conceptualised buildings made of glass, steel, plastic and wood, which simply house more-of-the-same-old businesses, would actually sit happily alongside a 1930's Art Deco cinema, a Gothic Revival Town Hall, a 19th Century Coaching Inn, or an early 20th century coachworks facade, remains the question. After all, only fifty years ago, the architects who designed the Forum precinct and the rest of the modern buildings in this area of Chester undoubtedly believed that they too had found the long term design solution to the problems that the city faced at that time. After all, let's remember that Chester has had any numbers of cinemas in the past, including the Odeon itself, which is now to be given a new lease of life as a mixed arts centre, or something similar. If there was such a desperate need, or demand for a multi-screen cinema, then why have all previous venues failed so abysmally? As for the major department store that's been promised as the flagship for the new retail project, just who will that be? As a significant number of the major brands are already present in Chester, wouldn't they just be swapping one location for another; and how would that actually add value to the city's economy? As for the assortment of new stores, cafe and restaurant, doesn't the same thing apply? Swapping a branch in Bridge Street, Eastgate Street or the Grosvenor Shopping Centre, for a new location in the Northgate Quarter would add little or nothing to the overall economic benefit, other than to leave an empty retail unit in one or other part of Chester city centre. It's also worth bearing in mind that at the same time a new restaurant is being offered in the new Northgate Quarter, there are proposals to add a further five new restaurants, to the four existing eateries in the Pepper Street Dining Quarter of the city, which doesn't even take into account those that already exist elsewhere in Chester. Within the past few months at least two restaurants are reported to have closed their doors, while another newcomer has set-up in the belief that they can turn a profit. And of course, none of this takes account of the numerous city centre pubs and hotels that also offer dining facilities to their customers and non-residents, all of them targeting the same customers of which there must be a finite number? Then finally there is the new 167-bed Crown Plaza Hotel, which is essentially replacing itself in the marketplace and is therefore likely to be economically neutral in terms of any actual financial benefit that it will bring to the city. This of course doesn't even begin to take account of other developments that are proposed for other parts of the city, including the newly announced Thwaites boutique hotel, bar and restaurant that is planned for the Dee House / Amphitheatre site in the coming years. Quite whether Cheshire West and Chester Council are simply adopting a "build them and they will come" attitude to new restaurant and hotel developments in the city is unclear, but it seems to be an extremely risky strategy for any investor in an industry where the failure rate for most restaurants is around 59% within the first three years. As for any new hotel venture in the city, well the success or failure of any new business remains to be seen, although as previously noted the Crown Plaza brand already exists in the Northgate Quarter and will simply shift its position through the construction of a new building, whilst maintaining its name and general proximity to the city centre and the Roodee Racecourse. It's a questionable hypothesis whether or not the actual regeneration of the Northgate Quarter itself will make the Crown Plaza any busier, or anymore popular than it currently is. After all, one suspects that many of its clients use the hotel because of its location, its prices and its close proximity to the Roodee for the various horse-racing events that take place throughout the year. It seems highly unlikely that the presence of a new cinema, restaurant or arts centre is going to be a principle driver behind increased guest numbers at a already existing hotel? Trying to calculate the exact number of hotel, motel and guest-house rooms for rent in Chester at any one time is incredibly difficult when so many providers fail to offer such obvious information on their corporate websites. 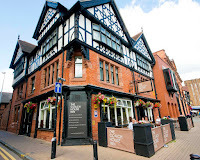 However, if one takes the following examples, the Crown Plaza (167), the Blossoms Hotel (67), the Grosvenor Hotel (80), Queens Hotel (218), Mill Hotel (132), Eaton Hotel (20) as well as the likes of Travelodge, the Abode, Roomzz, the Stafford and the Belgrave, there must be close on a thousand guestrooms available at any one time in the city. According to the Council's own figures the top sixteen hotels in Chester had an 80% occupancy rate during the peak seasons, between May and August, suggesting that even at its busiest time of year there were still around 200 rooms not being occupied, yet the planners answer seems to build and offer more? A century or so ago, Chester's liquor licensing authorities and the city Police, struggled to contain the number of drinking establishments in the city, not just to reduce the levels of drunkenness and civil disorder, but also to decrease the numbers of bars that were actually being run at a financial loss. Businesses going out of business for want of customers benefits nobody, not the owners, not the city and certainly not those customers or creditors who might lose out financially as and when a business goes bust. Chester's problems are many and varied, but for the most part seem to centre around the obvious inability of its civic leaders, planners and architects to offer a single unifying vision of what the city is and what sort of place local people would like it to be. Is it a Roman fortress, a Norman stronghold, a Medieval folly, an insignificant provincial city, a tourist attraction, site of the oldest racecourse in the country, a quirky retail shopping centre, or a combination of all these things? Perhaps unsurprisingly, with a new generation of civic leaders, planners and architects, comes a new grand plan for the city, this one called Chester's "One City" proposal, which is designed to bring together all of the various parts, or "Quarters", of the city together. Finally recognising the damage done to Chester's historic city landscape by the highly restrictive and damaging Inner Ring Road system during the 1960's, which essentially "chopped" the city into a series of bits, the latest "One City" proposal is at least an attempt to bring these disparate bits back into one single city-scape, although whether that's actually physically possible remains to be seen. At it's heart is an attempt to undo history, which is impossible, as the buildings and the features that were torn out of the ground to make way for the ring-road are long gone, never to be replaced. And anyway, what right has anyone to have confidence that this generation of civic leaders, planners and architects will be any more insightful or successful than their predecessors? 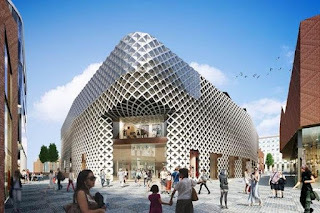 Rather than insisting on a new Northgate Quarter design that is sympathetic to the landmark buildings that already exist, the Town Hall, the Coach House, the Library facade, the Art Deco Odeon, or indeed the ancient Cathedral, once again they have chosen to "modernise" the landscape with today's cutting edge designs and materials. One only has to look at the proposed designs put forward a few years ago for the planned office buildings at Gorse Stacks, which was said by most to have resembled a "Glass Slug". Or maybe people should consider the new bus station that's currently being constructed on the site now? An amorphic roof design with grass growing on the top, which is a significant distance from the proposed new Market Hall and that will doubtless cause all sorts of traffic problems for the already congested Inner Ring Road system. And that doesn't even begin to measure the damage that this new construction will cause to the aesthetic quality of the Gorse Stacks skyline, backed as it is by the main tower of the city's Cathedral, the city walls and King Charles' Tower, virtually all of which have now been blocked out. Going back to the Northgate Quarter itself, on the western flank of the proposed development area, fronting the section of the Inner Ring Road system known as St Martin's Way, it appears that almost the entire length of the roadway, from Watergate Street to King Street, will become a sheer cliff-face of glass, steel, wood, plastics and concrete, replicating and extending what is currently there in the shape of today's Crown Plaza Hotel. Already criticised for the adverse effect this new development will likely have on Chester's increasingly threatened historic skyline, it can only surely be a matter of time before more serious modern encroachment occurs and once that happens, what price Chester's history and heritage then? It used to be the case that the uniqueness of Chester was its elevated galleries, or Rows, populated by a multitude of novelty shops, art galleries, antique dealers, local tradesmen and little specialist outlets. At street level there was the likes of individual newsagents, map sellers, toyshops, booksellers, fishmongers, jewellers, cobblers, shoe-shops, bars, cafes, restaurants and numerous other retailers, some of which were simply a branch of a large high street chain, but also many of whom were entirely Chester-based, owned and run. Not any more! 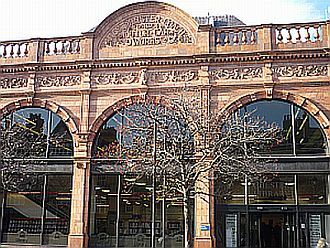 Increasingly, the vast majority of Chester's retail units are owned and run by high street multiples whose presence in the city is a "given", as it would be in any other modern British shopping centre. Be it a McDonalds, a Tesco, a KFC, a Miss Selfridges, a Primark, or any other common high street shopping name, they'll be somewhere in the city, with the result that despite its history, its architecture, its elevated galleries, or even its out-of-place shopping centres, Chester is now no different in terms of shopping content than any other city in the British Isles. In fact it has become so similar to every other shopping centre in the country that it even has mainstream charity shops occupying units in the historic rows and the absolute absurdity of having supermarkets chains occupying a row level shop unit, as well as one of the oldest former pub buildings in the city. Even accepting that a great many people find the whole retail experience exciting or therapeutic, one might still ask the most obvious question, why would you go to Chester, when the likes of Liverpool, Manchester, Warrington, or even Cheshire Oaks are likely to be bigger and better? After all, not only have they spent considerably more on reinventing themselves as regional retail shopping centres, but also have the infrastructure to deal with large numbers of visitors and shoppers, unlike Chester, which was never designed to cope with the levels of traffic that it is forced to handle today, even more-so since its ability to grow was restricted by the 1960's Inner Ring Road system. Rather bafflingly, one of the main planners of Chester's "One City" proposal seems to blame the city's Roman grid-like layout for the fracturing of its various "Quarters", when in fact there didn't appear to be such a major problem, prior to the Inner Ring Road being laid down, which seems to have encouraged even more road traffic into the city. 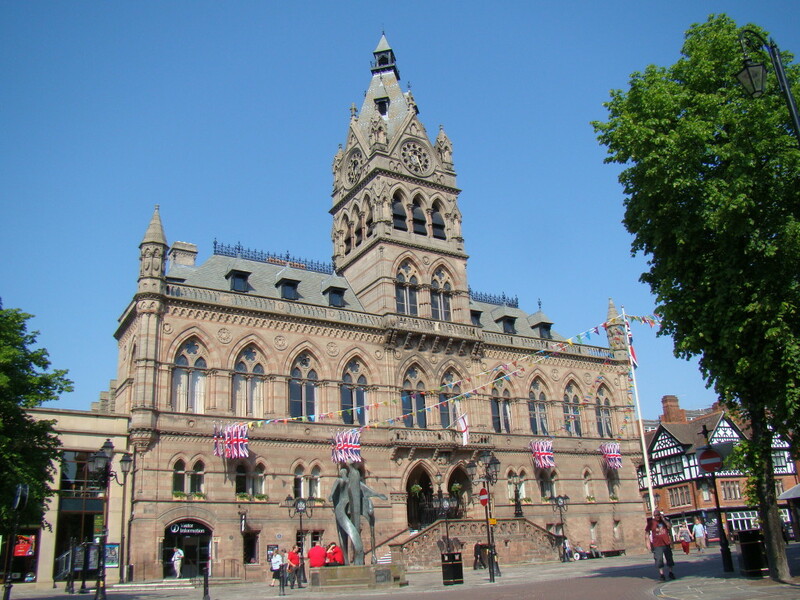 There's a suggestion that the ring-road has acted as a restriction to Chester's growth, preventing its retail centre from spreading outward, as would normally happen, had the likes of Northgate Street, Foregate Street and Brook Street, not been severed and choked off by the new road system. 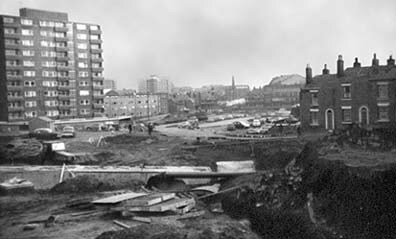 Any number of pre-existing houses and business premises were simply bulldozed out of existence to make way for the ring-road, properties that may well have provided the growing space for many of Chester's new and emerging businesses. But therein lies Chester's greatest difficulty, a problem that has existed for years and that will continue to exist until these same civic leaders, planners and architects choose to deal with it.....the city's traffic. 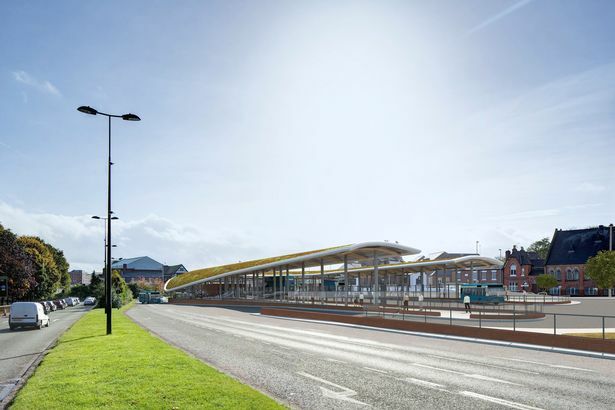 It's arguable whether or not the two new projects in Chester, the Northgate Quarter and the Gorse Stacks Bus Station will actually solve any of the congestion problems that currently affect the city, or will they in fact make them worse? It seems unlikely that the levels of traffic servicing the Northgate Quarter will be lessened, simply because of the presence of the various stores, market traders, hotel guests and city visitors who will use the new parking facilities being provided in that area. Moving the Princess Street bus services to Gorse Stacks, where it is bounded by the ring-road and the George Street access road to the Frodsham Street car parks seems equally problematic, so how exactly does either scheme represent any sort of improvement to the level of traffic chaos Chester regularly experiences? As was said right at the beginning of this post, change is often a necessary thing, especially when it relates to people's health and well-being, but change simply for the sake of change is often unwise and proves to be more costly in the long run. In terms of what's been done to Chester's historic buildings in the past, clearly it's impossible to undo the damage that's been done, as after all, those buildings cannot be rebuilt or those lost treasures replaced. And as was also said earlier, it's unlikely that anyone would grieve over the impending loss of the 1960's utilitarian monstrosities that currently inhabit the Chester Northgate Quarter, but then no-one should believe that it's perfectly acceptable to replace them with a modern day version of the same thing. 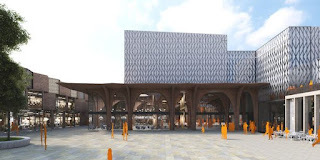 It surely must be a mark of almost immediate failure if the designers and architects of the new Northgate Quarter only see their creations in place for the next forty, fifty or sixty years, assuming of course that they even last that long? 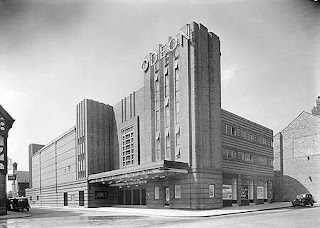 The "baby" of the four landmark Chester buildings that currently inhabit this part of the city, the Art Deco design Odeon, has lasted and been preserved because it's special, as are the Library facade, the old Coach House, the Town Hall and obviously the city Cathedral, but can anyone say the same for any of the new buildings that will sit alongside them? It clearly seems to be the case that some of those who are charged with running the city, its civic leadership, are only too happy to put personal legacy, financial consideration and perhaps even individual vanity before the need to protect the city for its future generations of Cestrians. Building a better future for the people of Chester is a perfectly acceptable approach to take, provided it's not done at the expense of its past, otherwise what's going to make our home city any different from anywhere else in the UK? Chester is indeed fortunate enough to have a small number of worthwhile; and in some cases world famous attractions that draw large numbers of people to the city, including its Zoo, its Racecourse and its almost unique collection of disparate buildings, be they churches, elevated shopping galleries, Georgian townhouses, or even its city walls and half-recovered amphitheatre. Contrast that to the numbers of retail customers who might make a special journey into Chester to purchase goods or services from a store or a provider that they couldn't find elsewhere in the northwest of England, assuming of course that you can think of one. The point is; from a purely retail perspective there is nothing new or unique about Chester at all, but from a tourism point of view, there is much to commend it and by spoiling or neglecting that particular brand, you damage the city's economy. Those paid to promote Chester to the wider world would have us believe that Chester is currently attracting tens of millions of visitors each and every year, yet when pressed on any firm figure will admit that they don't actually know, as there's no real way to count people coming to the city, or indeed for how long. However, rather than anything like the 31m people bandied about by some, the true figure is likely somewhere well below 10m, but not less than a couple of million. Taking into account that Chester's biggest and most notable tourist attraction is Chester Zoo, with 1.6m visitors a year, then adding 230,000 for the Cathedral, 295,000 for Chester Races and a further 100,000 for the Chester Museum, you could quite easily see that the city (assuming that you include the Zoo) probably attracts 3-4m visitors every year, about 1/10th of what's claimed for it by some. An equally extraordinary argument put forward by one of those responsible for promoting Chester to a global audience, was that the city having a rich and varied heritage wasn't enough to attract visitors; and that the city needed to have the sorts of retailers and restaurants that are generally and widely available elsewhere in the UK. Which sort of begs an obvious question, are visitors coming to Chester for the sort of shopping and dining they can get in virtually every other city in the country, or are they coming to Chester for its history, heritage and ambience? Once again it seems the basic argument comes back to what sort of city Chester sees itself as. Is it fundamentally a tourist destination that tries when it can to incorporate modernism, but without risking or damaging its core historic fabric? Or does Chester see itself as a leading retail shopping centre, competing with the likes of Liverpool and Manchester; at the same time being prepared to sacrifice whatever architectural and archaeological treasures the city possesses in pursuit of the customers money? It seems beyond doubt than Chester cannot be both, despite the best efforts of its civic leaders to try and prove otherwise. Given the outcomes thus far and the loss of innumerable and irreplaceable buildings to date, one cannot imagine that there's much to feel optimistic about for the future either. 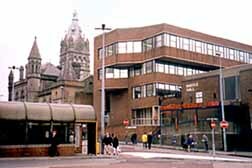 Although now separated by the city’s inner ring road system, Dee House was primarily identified with Little St John Street in the city, which is now marked by the modern day Lumley Place. Since 1929 the property has found itself at the centre of a huge local controversy, standing as it does on the southern, as yet uncovered half of Chester’s Roman amphitheatre. Dee House itself is thought to date from the middle of the 18th century, having been built for James Comberbach, a wealthy merchant and Mayor of Chester, reportedly by the architect Thomas Harrison. The house was further extended in the 1740’s; giving an L-shaped look to the property and it was reported to have been owned by the same family until 1860 when it was sold to the Anglican Church. Four years later the building was acquired by the Companions of Jesus who established a convent school on the site and added an east wing to the house, which included a chapel. This work was said to have been carried out by the Liverpool architect Edmund Kirkby, who was also responsible for the nearby St Werburgh RC Church on Grosvenor Park Road. Kirkby was a Liverpool based architect who was said to have worked with the noted Cheshire architect John Douglas prior to establishing his own practice. He and his two sons were reported to have worked extensively in the Liverpool area and in the wider northwest region of England. Dee House’s chapel was built between 1867-9 and the property’s west wing was rebuilt around 1900. The Ursuline Order from Crewe took over the school in 1925 and it was during preparations for a new south wing in 1929, that the remains of the amphitheatre were first rediscovered. The convent school finally closed during the 1970’s and the building has since been used as a corporate headquarters, but in recent years has stood empty and idle whilst its long term future is decided. During the years that Dee House was owned by the Comberbach estate, a number of private tenants were thought to have occupied the property, including two sisters by the name of Massey and the much more notable George John Chamberlain. This particular gentleman seems to have been a figure of some local notoriety, although as to exactly why he had some sort of infamous reputation isn’t entirely clear. Reportedly a member of a fairly prominent local family who originated in the outlying suburb of Saughall, they seem to have gained much of their local status through marriage and were reported to have had held Hope Hall, as well as extensive properties rights in Tranmere. Chamberlain himself is also reputed to have been involved with the development of the port town of Birkenhead on the Wirral peninsula. Following his death in around 1860, Dee House was said to have passed into the possession of the Reverend James Brown, which perhaps marks the point where the property came into the ownership of the Anglican Church. Representing one of the greatest archaeological treasures of the city, Chester’s as yet only partially excavated Roman Amphitheatre is thought to have first been built during the first century of legionary occupation at the fortress and was said to have been completely constructed in stone by the year AD 80. Rediscovered purely by accident in 1929, by a workman who was investigating the cellars of the now extinct St John’s House, the presence of huge cut sandstone blocks below this later building finally alerted both the local and national authorities to the archaeological treasure, that but for a stroke of luck may well have been destroyed by a new road scheme associated with the 1930’s New Gate which was being considered by the then city council. Apart from being the centre of civic entertainment and the site of gladiatorial competition, such buildings were often used as “Ludi” or weapons training areas, where new recruits would receive instruction on the latest fighting techniques, as well as learning how to fight as a combined unit when facing a common enemy. Often, these classes or training sessions were reported to have been led by one or more of the gladiators who fought in such arenas, as they were quite rightly regarded as being the leading “experts” in such martial matters. The general layout and construction of such amphitheatres was of an oval space enclosed by both an inner and outer wall, commonly built of timber or stone. The inner wall which could often be up to 3 ft thick and 12 ft high was said to have surrounded the central compound, providing a barrier between the spectator and those that were participating on the arena floor. The outer wall of the amphitheatre could measure up to 9 ft thick and 35 ft high, with the intervening and angled space filled with row upon row of seats or benches for the thousands of potential spectators to sit on, whilst they watched the events unfold before them. Lying on a generally north south alignment, the amphitheatre at Chester was thought to be around 315 ft in length and approximately 286 ft wide, with the arena floor alone measuring some 190 ft by 160 ft. At both the north and south ends of the arena, were the main entrances which led to the centre of the amphitheatre, with the northern entry reportedly consisting of a sloping passageway which had a central drain running through its middle and the entry protected by formidable wooden gates. As the southern half of the amphitheatre remains unexcavated through to the present day, it is surmised that the south entrance to the arena would have mirrored its northern counterpart, a conclusion that can only be amended if and when the amphitheatre is ever fully disclosed to the modern world. Along the east and west sides of the arena, a series of entrances were thought to have existed, providing access to the rows of public seating provided for the local population, rather like the modern stadiums people inhabit today, but on a much more basic level. Additionally, the main entrances on both of these sides were thought to have been uncovered, unlike the far more symbolically important north and south gateways, which were the only two entrances which led to the arena floor itself. During excavations which took place in the early 1960’s evidence of the earlier timber amphitheatre was also discovered which suggested that this earlier arena had in fact only been able to accommodate half of the 8000 capacity of the later stone built arena. The same archaeological program of 1960/1 also uncovered the altar dedicated to the Roman deity “Nemesis” on the west side of the northern entrance and reportedly housed within a shrine ostensibly called a “Nemeseum”. The shrine was thought to have been placed there for easy access by the gladiators who would pray to Nemesis, the God of Revenge, for guidance and perhaps good fortune in their forthcoming battles. This historic altar was later removed to the Grosvenor Museum for conservation and for its protection. On the eastern side of the arena, a small chamber was discovered which archaeologists speculated to be a “holding room” for the gladiators and other participants who were due to take part in events within the amphitheatre. 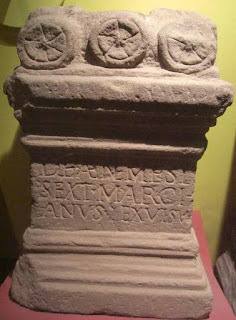 A number of such chambers were thought to have been located around the edges of the arena floor at the time that it was being employed by the resident legionary force. The floor of the amphitheatre was reported to have been cut deep into the natural sandstone bedrock taking its level to below that of the surrounding ground, explaining the slope from the northern gateway and essentially creating a bowl-like structure. There is also some evidence to suggest that both the central drain, running through the centre of the arena on a north to south alignment and a second drain, abutting the curved inner wall of the amphitheatre were both cut even deeper into the native red stone and the filled in with crushed rock and stone, allowing water to flow through them, yet at the same time preventing the drains from becoming a tripping hazard or littered with floating debris. Initial investigations of the floor area in 1960/1 also indicated that sometime around the end of the 3rd century the arena floor had in fact been resurfaced, a conclusion substantiated by the fact that below this later level there was evidence of the amphitheatre having fallen into an extended period of disuse, due to the presence of a layer of detritus which lay between the first and third century floors. Above this secondary arena surface, there was some evidence to suggest that following the final abandonment of the fortress sometime in the 4th century, the amphitheatre had been used for a variety of purposes by the local population, including as a cess pit. There was also some indication that the site had been employed in the post Roman period as a site of generally low level civil occupation, which was speculated to include a number of basic huts and cottages which had been established outside of the city’s defensive walls. It was possibly as a result of this later occupation, as well as the successive centuries of temporary use and abandonment, that eventually caused the impressive amphitheatre to become lost and forgotten over time, until its accidental rediscovery in 1929. The most notable victim of the modern excavation of the northern half of the amphitheatre was St John’s House, an 18th century property with extensive gardens that was completely demolished to fully reveal the buried Roman antiquity. Previously land that had been in the possession of St John’s church, by 1750 the house was reported to have been occupied by a prominent local resident called Thomas Slaughter, who was granted the house and its lands by Sir William Young and Walter Warburton in the same year. Slaughter and his wife were thought to have occupied the property for an extended period, as the couple were still resident there right up until 1790, the year that Thomas finally departed this life. Following the Slaughter’s occupation of St John’s House, the property was then thought to have come into the possession of a gentleman called Meadows Frost; and it was said to have remained in that family’s possession until its acquisition by the authorities in the 20th century, when it was purchased with monies raised by public subscription. ﻿I can't imagine that it would surprise anyone to learn that David Cameron is a highly enthusiastic supporter of and proactive cheerleader for the economic, socio-political experiment that we all refer to as the European Union, although to be fair, our current Prime Minister has never pretended to be anything else but an avid Europhile. However, the unofficial disclosure this week that Mr Cameron's entire EU referendum strategy will be based around his creating a fear factor about a potential British withdrawal from the EU, as opposed to him being able to announce that he had successfully wrung a host of meaningful concessions from our European partners, is disappointing to say the least, but not at all surprising, when one considers his previous history on other such vitally important matters. After all, this is the same David Cameron who has only recently won a general election on the back of an almost wholly negative election campaign, which saw him and his party scare the living daylights out of the English electorate, at the prospect of a Labour government being held hostage by fifty-odd Scottish National Party MPs. The same David Cameron who used a similar message of potential economic ruin to fatally undermine the SNP's own Independence referendum campaign; and the same David Cameron who has consistently warned that the UK will go to economic hell in a rickety handcart unless he's allowed to impose the most swingeing sort of public sector cuts on the neediest of our nation's citizens. 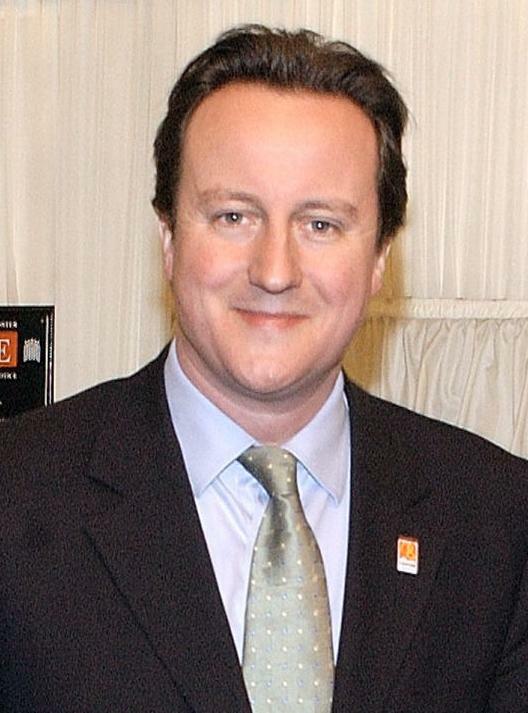 This is the David Cameron who promoted the idea of the Big Society, as a means of having everyday civic-minded people carry out some vital public services for free, thereby allowing his government to reduce public expenditure on them, thus mitigating the inevitable loss of services to their local communities. At the same time, this is also the David Cameron who introduced the Bedroom Tax, which was purportedly intended to help reorganise social housing stocks to help alleviate shortages within the market caused by under-occupancy of larger properties by single person households. Unfortunately, as with so many of Mr Cameron's big ideas, not only was the Bedroom Tax generally unsuccessful in releasing large numbers of bigger homes into the market, but where such downsizing did occur it often came with an additional cost to the public purse, thus defeating the entire object of the exercise. One only has to look at the outcome resulting from David Cameron's more recent Help To Buy scheme, which although laudable, has achieved little, other than to further limit accessibility to the housing market and increase the personal indebtedness of those few participants who could afford to apply for inclusion in the scheme. With the odd few exceptions, house prices in the UK have been steadily increasing month on month, thereby putting home ownership out of the reach of an increasing number of first-time buyers, whether the Help To Buy scheme applies or not. With fewer people able to get on the property ladder due to rising prices, it is almost inevitable that most properties will eventually be sold for use in the rental market, which in turn will force up rental costs, which then in turn has an adverse effect on housing and council tax benefit claims, thereby making the entire strategy yet another Cameron failure. 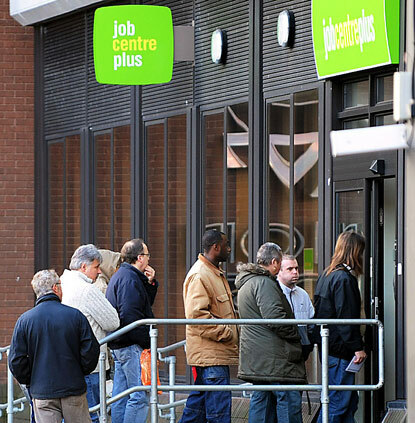 It is hardly rocket science to recognise that low paid, part-time jobs will almost inevitably have a largely negative effect on the public purse, if only because they don't generate tax, or more likely that low wage workers will inevitably be entitled to child tax credits, working tax credits, council tax and/or housing benefits, all of which help raise the country's overall welfare spending yet again. When one considers then that David Cameron and his party were elected to address such public expenditure issues, the almost incalculable national debt and the escalating deficit, just how many voters realised that it was his own party's drive for austerity that was inadvertently causing a major part of the problem, by effectively subsidising low wage employers, who get a cheap workforce at the governments, or more crucially at the taxpayers expense? In a similar fashion, hasn't David Cameron's decision to triple student tuition fees simply helped to fuel the level of debt that he and his Conservative colleagues profess to despise and that they've vowed to eliminate by cutting back on the most vitally needed public services? Notwithstanding the millions of pounds that are doubtless lost to overseas students who skip the country leaving their debts behind (£43 million, at the last count), or the foreign governments who refuse to repay what their nationals owe the British Exchequer, what about the billions in home grown debt that our native students have amassed and that will almost certainly never be repaid. If 40-50 or even 60% of students are unable to repay some or all of their £30,000+ debts, then what happens then? Assuming they don't generate a salary that allows them to repay their debts, then it doesn't seem likely that they'll ever afford a mortgage either; and even if they do, will they be continually hounded by the government, or more likely by debt collectors until such time as their tuition fees debt is settled in full? Clearly, the colleges and universities who are being paid the student fees are doing very nicely out of the deal, allowing them to expand, buy up local housing stock, build new accommodation blocks and campuses, as well as pay very good rates of pay to their teaching staff, but does anyone else actually benefit from the scheme? The students certainly don't, as they end up carrying high levels of debt almost as soon as they leave full-time education. The taxpayer doesn't benefit, as they're unlikely to see any meaningful return on their investment anyway, as it's all part of overall government spending. Local homeowners or homebuyers won't see a major benefit, other than to see their local housing stocks either being devalued by high volumes of student accommodation, or conversely being priced out of the local market by cash rich colleges or universities that are greedy to acquire more student housing. Moving on though. Let us not forget that this is the same David Cameron who has personally overseen the reduction and under-funding of our country's armed forces since 2010, at exactly the time that their numbers, their expertise, their professionalism and their equipping is most badly needed by the UK, bearing in mind the dangers that we face in Eastern Europe, the Middle East and the Mediterranean. This is the same David Cameron who authorised the destruction of billions of pounds worth of RAF reconnaissance aircraft, only then to have countless Russian warplanes and submarines begin testing our international borders. The same David Cameron who was subsequently forced to ask our NATO allies if we could borrow their surveillance assets in order to counter these overt Russian incursions. This will be the same David Cameron who has placed his own personal political legacy above the rights and needs of his own country's people, by insisting that the UK gives away 0.7% of its GDP in Foreign Aid, monies that are too often being borrowed from the markets and on which interest is being paid. This is the David Cameron that has committed the country to paying out monies that it doesn't actually have and that no other developed nation currently matches, purely in an act of personal political vanity that benefits the few, rather than the many. No doubt it will be reassuring for most British taxpayers to know that their hard earned monies are being used to buy weapons, to build luxurious presidential palaces, to purchase executive jets, to build roads that don't actually go anywhere, to fund aspiring foreign pop groups, or for tens of millions of pounds to simply be deposited in secretive bank accounts? It's also worth remembering of course that this is the same David Cameron who authorised the bombing of Libya and through that military action the removal of Colonel Gadaffi, which in turn has resulted in the almost complete breakdown of law and order in that pivotal country. 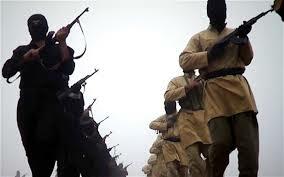 So, rather than bringing peace, stability or any other recognisable form of democratic government to that troubled country, Mr Cameron's ill-advised military adventure has caused a fracturing of that state, thereby allowing various criminal gangs, Al Qaeda, IS and any number of individual tribal groups to seize control of various areas. Little wonder then that David Cameron and other European leaders are now having to deal with an almost biblical refugee crisis in the Mediterranean that the likes of Italy, France and the UK helped to create in the first place. Related to this same military adventurism, in the past few days we have all watched aghast as up to 30 of our fellow citizens have been mercilessly slaughtered while they were on holiday in the Tunisian resort of Sousse, apparently at the hands of a local follower of Islamic State. Certainly, this brutal terrorist group, based around the Syrian city of Raqqa, have claimed responsibility for the bloody outrage; and may in fact have played some part in providing the perpetrator with weapons or logistical support. In response, David Cameron has declared that western democracies are "at war" with this particular Islamic death cult, yet all that he seems to offer in response to their murderous outrage is words. 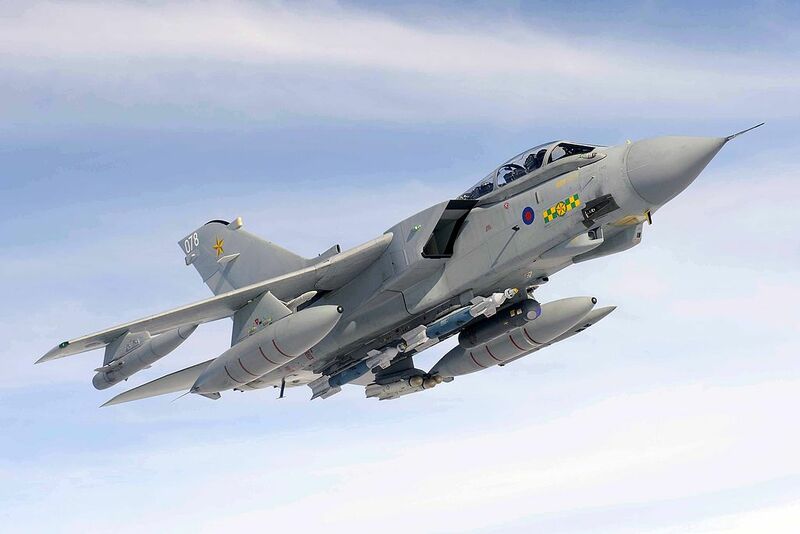 There was a time when a militarily strong Britain would have responded to such an outrage with a show of martial strength, an "eye for an eye", if you will, against those who claimed to have carried out the bloody act, just as the kingdom of Jordan did, when one of its pilots was murdered by IS. One cannot imagine that the likes of Egypt, Israel, Saudi Arabia, or any of those other neighbouring Arab states would have simply offered reassuring words as a national response to such an unwarranted assault on their citizens, but in all likelihood they would have had military assets in the air within hours of such an atrocity taking place. But then again, it's worth remembering that this is David Cameron we're talking about, a politician whose personal and political judgement is about as flawed as it can possibly be. After all, this is the man who has helped undermine our fighting forces, at exactly the moments that we require them to be strong. A man whose own economic thinking is highly questionable at best; and who would put the financial interest of anonymous foreigners above those of his own people. A man who would attempt to undermine the sanctity and status of a traditional heterosexual relationship within society by enacting legislation over the heads of the majority of the British public. 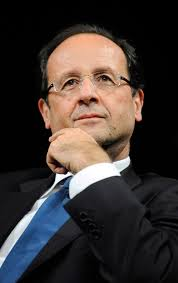 A man, who through his own weakness and prevarication will almost certainly be responsible for the end of a 300 year social, political and economic union that was once the envy of the world. Although it's probably true to say that David Cameron is a thoroughly decent man, husband and father, one suspects that just like his political predecessors William Hague, Michael Howard, John Major and Iain Duncan Smith, British history will not reflect well on his time as Conservative party leader, if only because he single-handedly managed to annoy as many party members as he managed to please. 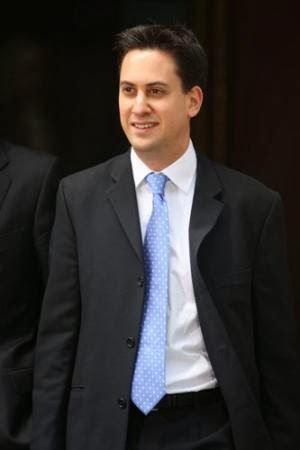 Along with his Prime Ministerial predecessors, John Major, Tony Blair and Gordon Brown it seems highly unlikely that history will recall him as some great political colossus striding across the world stage, but probably more like an irritating minor player who came, who saw, who tinkered about, who fucked things up and who left! There seems to be a common myth that those of us who are fundamentally opposed to our continued membership of the European Union, do so because we are afraid of the bigger world outside of our own national borders and that we are somehow incapable or unwilling to accept that the wider world has fundamentally moved on from the period when Britain still had a vast territorial Empire that stretched across the world; and on which the sun never set. And so the same argument goes, Britain's Eurosceptics are not only insular, but also isolationists, who would quite happily turn our backs on all of the benefits that a truly globalised economy might bring to our country, in return for living in a Britain that resembles the best bits of the 1950's and 60's. It's all stuff and nonsense of course, as that presupposes we'd all like to be living without our improved standards of living, our coloured televisions, personal computers, tablet devices and mobile phones, which of course we wouldn't. The very idea that those of us, who are opposed to the concept of a European political union, have some sort of rose-tinted view of Britain prior to us joining the Common Market, is not only ridiculous, but patently untrue. Britain during the 1970's was often a pretty grim place to be, what with a massive decline in our industrial base, high unemployment, rampant inflation, power cuts and wildcat trade union strikes virtually every other week, all of which contributed to us being seen as the "sick man of Europe". However, let's not be completely misled about this, even though our entry into what was then known as the European Economic Community undoubtedly helped to stabilise and regenerate certain areas of our national economy, through the various trade mechanisms, ultimately it was sovereign British governments and not the foreign based EEC, that resolved most of the social, economic and industrial ills that were blighting the country at the time. Even though you can continue to argue indefinitely about the causes of Britain's industrial decline, whether or not it was the bosses or the unionised workers who ultimately brought about industrial ruin, either way, the almost wholesale de-industrialisation of Britain was carried out by a sovereign British parliament, albeit in conjunction and with financial aid from the EEC. Similarly, virtually all of the Trade Unions legislation enacted to limit the immense financial and human power of unionised labour in the UK was also initiated by a sovereign British parliament, elected by the British people to both regulate and restrict the enormous social, economic and industrial influence of the Trade Unions Movement. The point is that the EEC was never in any way responsible for fixing the multitude of social, economic and industrial problems that were affecting Britain during the 1970's despite what the most avid supporters of the European Union might choose to claim. Most of this country's ills were in fact "fixed" by a strong and independent sovereign British parliament, which consisted of elected British representatives who were finally prepared to bring the full force of their executive powers to bear, in order to fix an assortment of social, economic and industrial issues that had been allowed to fester for so long, that they were in danger of destroying the entire country. Let's not forget that Britain joined the EEC in 1973, had a referendum on our continuing membership in 1975 and yet large-scale industrial disputes were still raging in 1984/5, some ten years after we had first joined the supposed customs union, so any claim that the EEC/EU has been responsible for bringing peace, love, stability or even prosperity in its immediate wake is fanciful at best. One of the other great myths surrounding our membership of the EEC/EU is that the other 27 member states have not, would not and will not continue to trade with Britain, were we to put ourselves outside of the customs union by deliberately leaving the club. Then of course there's the added threat to the estimated two millions British ex-pats who live, work, or who have retired to other member states, whose entire position would be brought into question were the UK to willingly withdraw from its membership of the EEC/EU. Clearly, to follow the EU supporters argument to its logical conclusion then, prior to 1973, Britain didn't trade with the likes of France, Germany, Belgium, Luxembourg, Italy, Spain, Greece, the Netherlands or Portugal, we didn't sell anything to them and they didn't sell anything to us? In a similar fashion, prior to 1973, there were no Britons living, working or safely retired to any of those European nations, nor were there any French, Germans, Belgians, Italians, Spaniards, Greeks, Dutchmen or Portuguese living, working, or safely retired to the UK? Now I could be wrong, but I rather suspect that foreigners of all descriptions and nationalities have been living, working and residing in the various countries of the European Union for hundreds of years, without the need for a treaty or binding agreement to allow them to do so. Likewise, Britain and most other major European states have been happily trading goods with one another for hundreds, if not thousands of years, yet still didn't need an overarching or restrictive international treaty to allow them to do so. Ancient Britain was known to be trading with a number of Scandinavian and Mediterranean countries prior to the Roman invasion of Britain in the first century; and yet we managed to do that without the so-called "benefits" that are attached to our membership of the modern day EU. 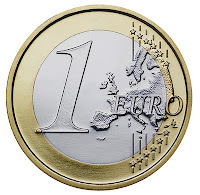 Fundamentally, people deal with people, trader deals with trader, countries deal with other countries, very often without a single word being written down on paper, let alone the tens of millions of words that the various EU treaties have involved. The very idea that German, French, Spanish, Portuguese, Dutch, Polish or any other foreign consumers or manufacturer would refuse to continue purchasing British made goods, just because they happened to originate from outside of the European Union's self imposed tariff boundary is quite frankly ridiculous, given that we all continue to consume American, Chinese, Korean, Indian, Pakistani, Taiwanese made products every single day. After all, it's not even as if British manufacturers and producers are regularly supplying the sort of cheap tat, that might be produced elsewhere in the world, but for the most part are actually supplying the sorts of high-end luxury items that Britain is renowned for. 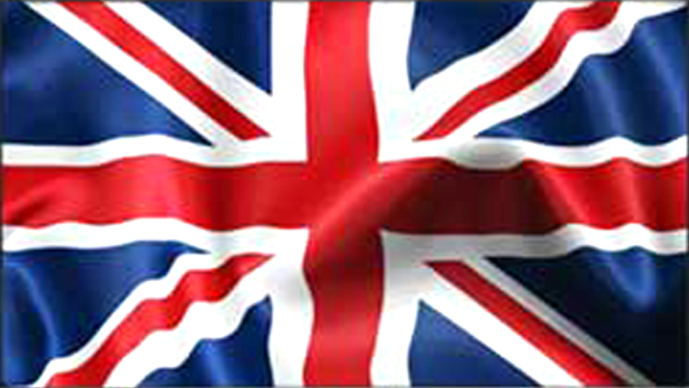 British exports, be they financial, industrial, agricultural, aeronautical, automotive, fashion or petrochemical are generally some of the very best products in the world, so the claim that global consumers would simply stop buying them, just because Britain was no longer in the EU is an infantile suggestion. As for Britain's global influence being diminished by an EU exit, well that's yet another myth perpetrated by those pro-EU'ers who would have us stay shackled to the project regardless of any disaster that might befall it, now or in the future. 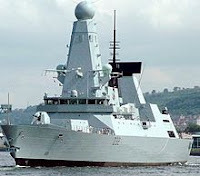 Unfortunately, it gets very tiresome having to endlessly repeat the facts that Britain is not only one of the largest economies on the planet, but also has some of the best funded and militarily capable armed forces in the world. It is a permanent member of the United Nations Security Council, has been a founding member of virtually all of the world's most important international organisations, has a diplomatic network built up over decades and is a central member of the Commonwealth of Nations. It can boast historic links to virtually every continent on the globe and enjoys healthy diplomatic and trade relationships with nearly every nation of the English speaking world, so quite how anyone can suggest that Britain lacks global influence, let alone requires our membership of the European Union to somehow bolster it, is just beyond parody. The truth is of course that those who would caution us against withdrawal from the EU are the real isolationists, the real Little Europeans, who would have us turn our face against the wider world, to concentrate instead on reserving our place in the limited, finite marketplace that is western continental Europe. They would have us settle for a potential market of 500 million people, rather than the billions of potential consumers who inhabit other parts of the world, many of whom reside in the newly emerging markets in China, India, Russia and South America. Why on earth would we want to cut ourselves off from the billions of people in these regions, simply to concentrate on the millions who happen to live within the artificially created borders of the European Union? Might it be because it is the Little Europeans themselves who lack the confidence, the foresight, the confidence to strike out into the big wide world; and it is actually they who are busily looking back to a world of the 1940's, 1950's and 1960's, when the idea of a single unified Europe was being set against an almost common memory of a devastating military conflict. Is it also perhaps that the likes of Kenneth Clarke, David Cameron, Ed Miliband, Nick Clegg, Jean Claude Junker, Angela Merkel and all of those others Europhiles who would have us become good "Europeans" are just small men and women trying to inflate their own personal egos and political legacies, by creating what is in effect their own small pond, in which they can appear to be much, much bigger? There is an argument to be made therefore that if anyone is turning their backs on the wider world, it is the likes of Kenneth Clarke, David Cameron, Ed Miliband, Nick Clegg and their associated Europhile followers, the very people who will campaign for the UK to say YES to remaining as a member of that same backward looking, insular, isolationist and anti-global customs union. I'm sure that it's not just me, who can see the yawning chasm that exists between what Prime Minister Cameron will actually demand from his European counterparts; and what most British citizens would like to see him deliver, when it comes to renegotiating the specific terms of our EU membership prior to the European referendum that will be held in 2016 or 2017. This after all, is the same Prime Minister who came perilously close to losing the Scottish Independence Referendum, which would have seen the 300-year-old union between England and Scotland finally broken and that ultimately resulted in Mr Cameron being forced to offer the Scottish Nationalists the sort of concessions that they once could have only dreamed of. But then that's what you can expect to happen when you have an inexperienced British Prime Minister who not only lacks real political gravitas, but is also missing the sort of patriotic fervour that one might reasonably expect to be a basic requirement for that particular office of state. Clearly though, Cameron has absolutely no intention of demanding that Britain should regain its historically sovereign right to control its national borders, in order to counter the huge influx or migrant workers that have inundated the country over the course of the past 20 years, as for him to do so, would directly contradict one of the European Union's founding principles, that being the free movement of labour. 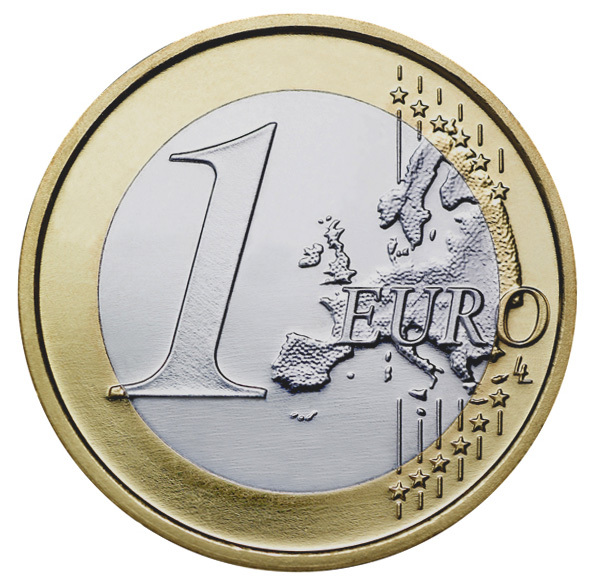 Given that the European Union's existence is almost entirely founded on the basis of its four key pillars, the free movement of people (ie: workers/labour), goods, services and capital, there is little or no likelihood that any of the other member states are going to be inclined to allow Mr Cameron to reinstate the sorts of border controls that existed in Britain before 1973. 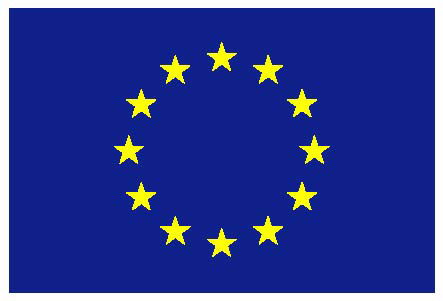 For them to do so, would not only undermine the very principles of the EU itself, but also for one or two of the community's generally poorer states, it would almost certainly prove to disadvantageous, as their more needier citizens would immediately be denied access to jobs in one of the Union's wealthier states. Although it's been said before on numerous occasions and with good reason, it is perhaps worth reiterating the point that Prime Minister Cameron is, was and will always remain a committed Europhile, presumably because he takes the personal view that Britain is bigger, better and more influential within the bloc, than it would be outside. Whether or not that's true surely depends on your personal viewpoint and whether or not you believe that Britain in the 21st century is completely incapable of managing its own national and international affairs, in terms of its trade, finance, welfare, social services, diplomatic relations, energy, education, transport, industrial manufacturing, immigration, agriculture or fishing. After all, it's worth recalling that prior to our accession to the European Economic Community in 1973 we had managed all of these various national competencies quite well; and although we'd had various hiccups along the way, successive sovereign British parliaments had done a pretty good job of running the country for hundreds of years, prior to the EEC/EU being created. 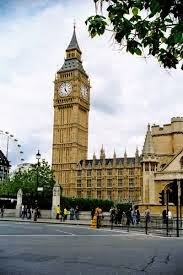 Evidently though Prime Minister Cameron and many of his parliamentary colleagues, on both sides of the chamber, now seem to believe that they themselves are totally incapable of running our country and would much rather hand many of those same vital responsibilities over to un-elected foreign officials and administrators in Brussels and Strasbourg. Which sort of begs the question, just what do we need Mister Cameron and the rest of his parliamentary colleagues for, if our country's major areas of responsibility are actually being decided by foreign officials, administrators and representatives based in Strasbourg and Brussels? Anyhow, to get back to the subject of Prime Minister Cameron's so-called EU renegotiations that have been much talked and speculated about in the British media recently. Given his full and unwavering personal support for the European project generally, any hopes that Prime Minister Cameron might genuinely attempt to reform the EU, let alone consider taking the UK out of the Union, were always likely to prove difficult, if not impossible, for him to contemplate. Despite his public rhetoric regarding the hundreds of thousands of migrants who have arrived in this country during every year of his premiership, in common with his predecessors Tony Blair and Gordon Brown, Cameron almost certainly regards these extraordinary migration figures as a price worth paying for our continued membership of the EU. However, in order to continue the pretence of being the UK's most pragmatic Eurosceptic Prime Minister and supposedly putting the needs of our country before all else, he has currently invented a wholly deceitful strategy of trying to convince British voters that the only meaningful way of controlling the high levels of immigration into the UK, is by reducing or eradicating the single greatest "drag factor", which in his opinion is the various Welfare Benefit Payments available to all workers in Britain, foreign or domestic. 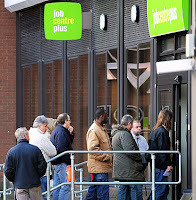 By removing the rights of migrant workers to receive such mandatory benefits for a period of at least four years, Mr Cameron hopes that this measure alone will result in the number of migrants coming to the UK each year falling from the hundreds of thousands that it is now, to the tens of thousands that he previously hoped to achieve several years ago. Of course his strategy overlooks several important factors, not least of which is that the new Welfare rules that Prime Minister Cameron would need to introduce, in order to prevent any new migrants from receiving such UK based entitlements, would almost certainly be found to be discriminatory by the courts. 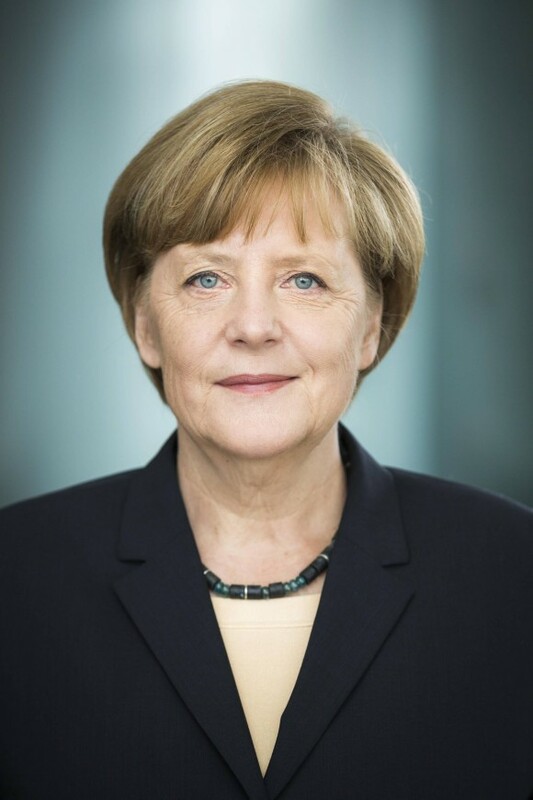 Although today, the European Union has found that Germany is perfectly entitled to withhold benefit payments from new migrant workers for up to a period of three months, that is entirely different to the British proposal to withhold payments for up to a period of forty-eight months, which some foreign workers might argue is both unreasonable and discriminatory. And even then Cameron's suggested course of action pre-supposes that the vast majority of migrant workers are entirely driven by a desire to access the UK's generous benefit system, when most pro-European pressure groups will tell you that isn't the case at all. 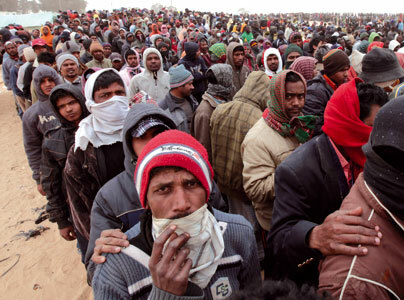 Not forgetting the fact that vast numbers of newly arriving migrant workers are from relatively poor areas of the world, be that Eastern Europe, or the Indian Subcontinent, then logic would tend to suggest that even a basic pay packet in the UK is going to be far more than they could earn in their home countries, so financial "drag factors" would still exist, whether they're accessing the British benefits system or not. 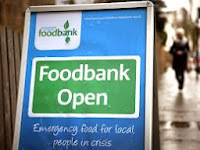 Obviously those migrants who are intent on exploiting the UK's fairly generous welfare system might well find such sources unavailable to them for a period of time, be that three months or four years, but either way, their mere presence in the UK will still allow them unfettered access to our health and education services, our social services, food banks, charitable institutions, legal services, housing stocks and at least some form of living expenses, so what sort of loss are they really suffering, were Prime Minister Cameron to get his way in Europe? The reality of course, is that Cameron's proposed measures are simply window dressing to try and convince the British public that he is being tough on Europe, tough on migration and in touch with the millions of British voters who are rightly concerned about the numbers of foreign migrants who are inundating the country every year, with a further three million expected by 2020. In truth however, Prime Minister Cameron is not only being weak with Europe, by asking for virtually nothing in his purported renegotiation with them, but is also being dishonest with the British public, by promising them reductions in immigration numbers that will almost certainly never be achieved, simply because of the free movement of labour that is integral to the entire European project. It is only by renegotiating or completely rejecting that particular treaty clause that Britain and Prime Minister Cameron can ever hope to genuinely limit the numbers of people arriving here every day; and Cameron loves Europe far too much, to ever do that. In bringing this specific post to an end, it is also worth pointing out yet again that controlling our national borders and the numbers of strangers who cross them every single day, is only one particular aspect of our current EU dilemma; and even if Prime Minister Cameron were to solve that (which he can't and he won't), there would still be plenty of other problems to resolve. The immigration issue is just one of many national competencies that successive British Prime Ministers have handed control of to Europe; and if that were ever settled to our satisfaction, there would still be the question of the others, including our trade, finance, welfare, justice, social services, diplomatic relations, energy, education, transport, industrial manufacturing, agriculture and fishing, to name just a few.